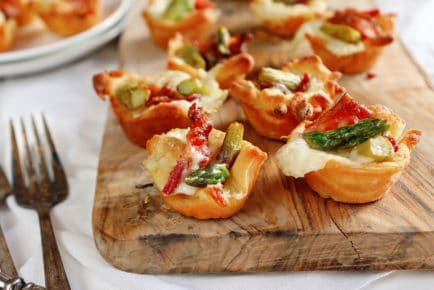 Quite possibly one of the most fun appetizers to serve! 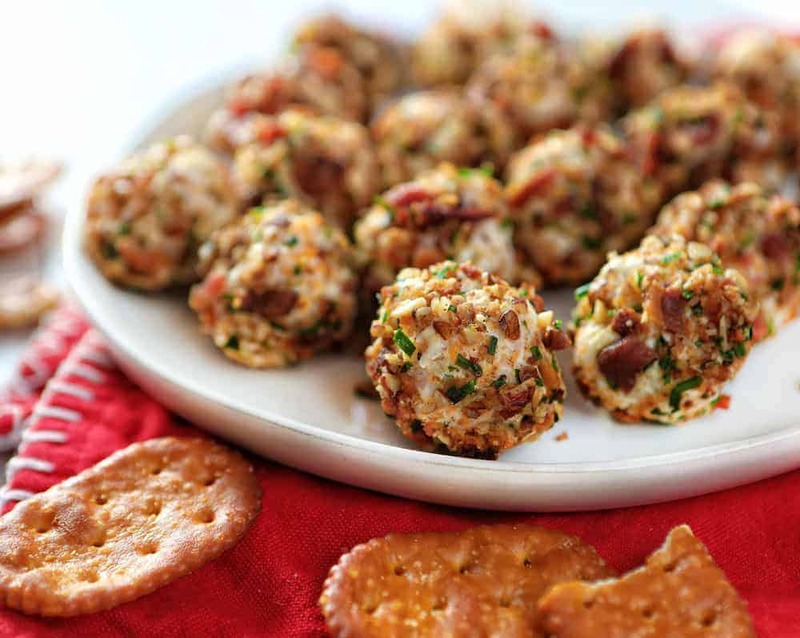 Bacon Ranch Cheese Ball Bites are finger-lickin good! 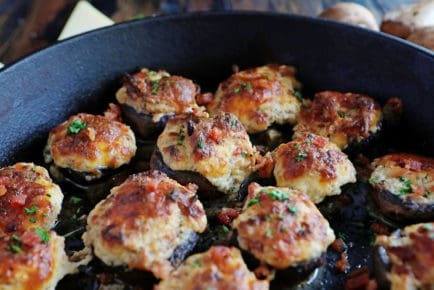 We often make a bunch of appetizers to serve for a meal and this one always makes the cut. This one, Bacon Jalapeno Poppers, Sausage Jalapeno Poppers, and Bacon Stuffed Mushrooms are the most requested! 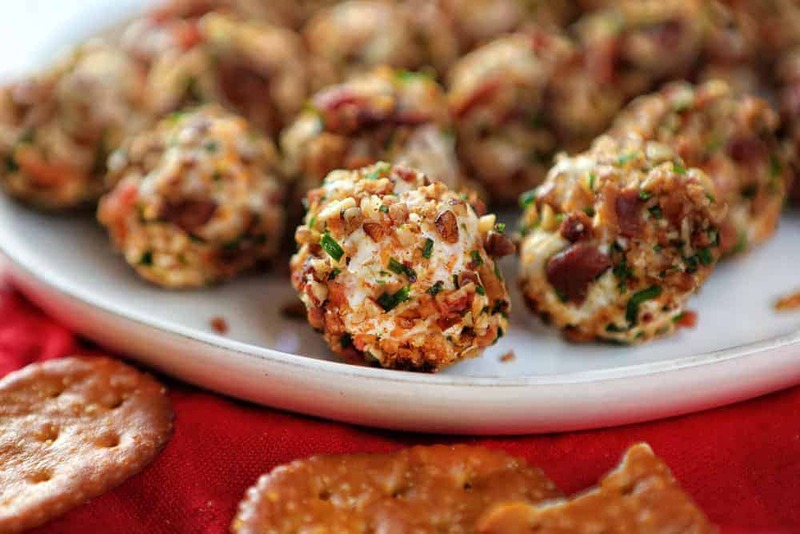 Who doesn’t love a cheese ball stuffed with ever amazing flavor known to man? Not only do these happen to be a perfect size, but they have the most amazing flavor. Bacon, ranch seasoning, and of course cheese! 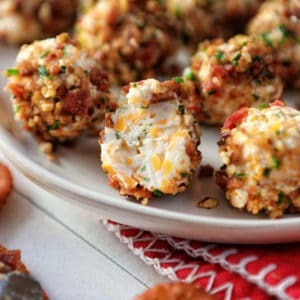 These cheese balls are more of a “cheese ball bite”, meaning that they are much smaller than the average cheese ball. You can easily pop one in your mouth or grab your favorite cracker. Mix together the cream cheese, cheddar cheese, and ranch seasoning. You can use a food processor, but I just grabbed a fork that worked great too. Just make sure your cream cheese is room temperature! After you have mixed together all of the ingredients I recommend grabbing a pair of gloves to mix up the individual bites. 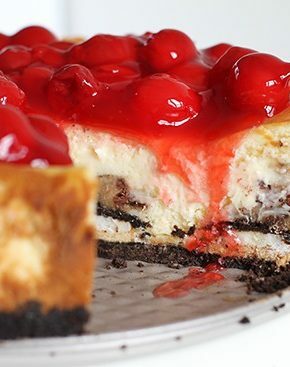 The first time I made them it was a sight to behold… cream cheese and cheese covering my entire hand! The next time I grabbed a pair of gloves and not only was the clean up easier, but it also went a lot faster. 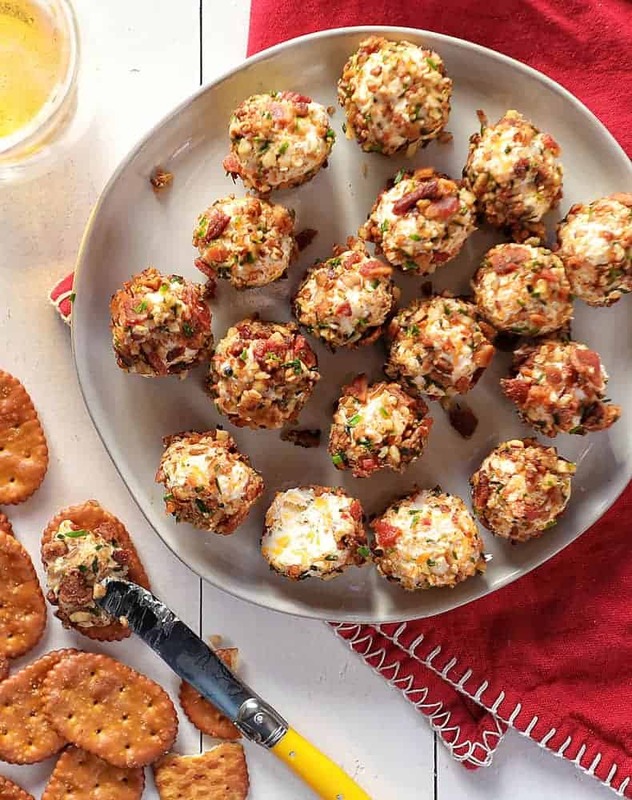 We were able to roll out about 16 cheese ball bites, but it may vary depending on how big you make yours. I liked them on the smaller side… about 1 inch in diameter. 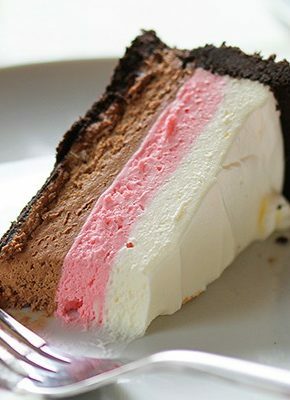 It’s only 3 easy ingredients, but it’s important to get them right. You want crispy bacon… nothing chewy allowed! Then chop your crispy bacon into small pieces. If they get too big they won’t fit nicely onto your cheese ball bites. Your chives should be a fresh and fragrant as possible. I had to go to 3 stores to find some that actually had flavor! Just like the bacon, make sure you do a fine dice. I tried candied pecans as well as roasted pecans to see if it would make a difference and ultimately we found that regular old chopped pecans worked great. There is no wrong here, but my kids loved Ritz crackers best. Something about the salty bacon and cool and creamy cheeses paired with a buttery cracker was so delicious! We also enjoyed pretzel crackers, pretzels, and toasted bread (crostini). 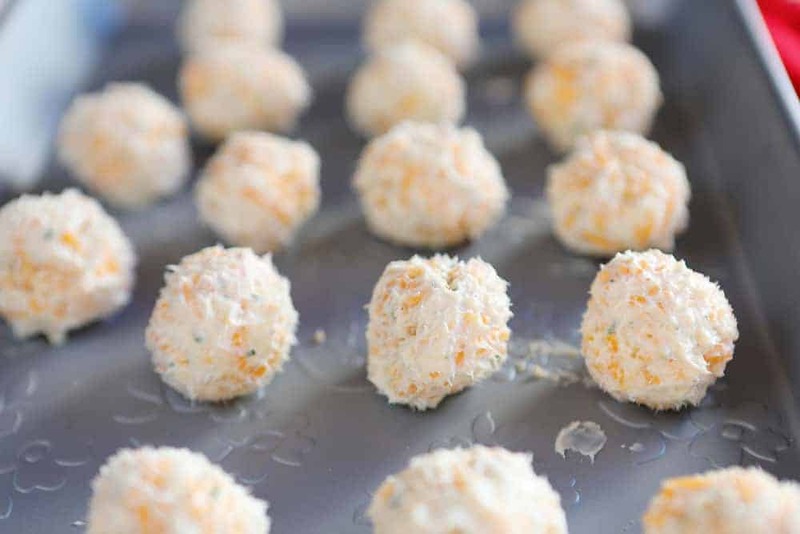 You could also make some parmesan crisps and serve the cheese ball bites on top! Want to make this into a giant Cheese Ball? 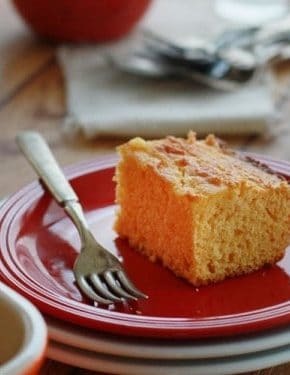 Simple, instead of 16 bite-sized portions, just mold the cream cheese mixture into one giant ball. Cover with the bacon coating and chill until ready to serve. 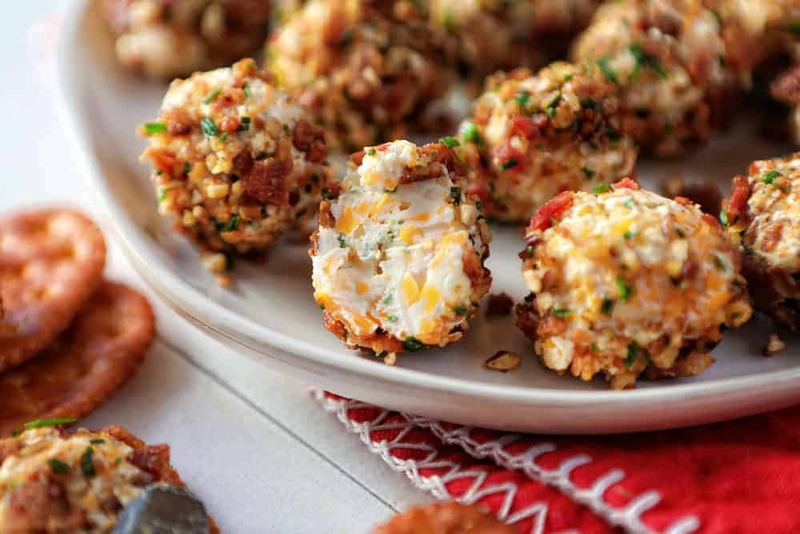 Looking for Other Great Appetizers? Never too late for this one ! Keeping for gatherings to come ! Thank you ! Your recipes look great. Ready to give them all a try. Thanks! 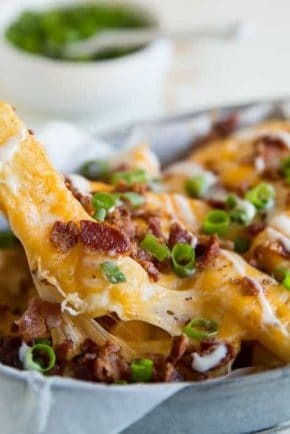 This is a great appetizer and if you live in a country that ranch envelopes aren’t available look on Pinterest for a make your own recipe or order from Amazon.